Italy’s leading gateway container terminal in La Spezia, operated by the Contship Italia Group is set to embark upon on a tour of strategic supply-chain hubs in Asia. Contship’s senior management will visit key cities in China – Dalian, Shanghai and Shenzhen to promote La Spezia Homeport as the gateway to Italy and the markets of South and Central Europe. They will conclude their tour with a visit to Taiwan. 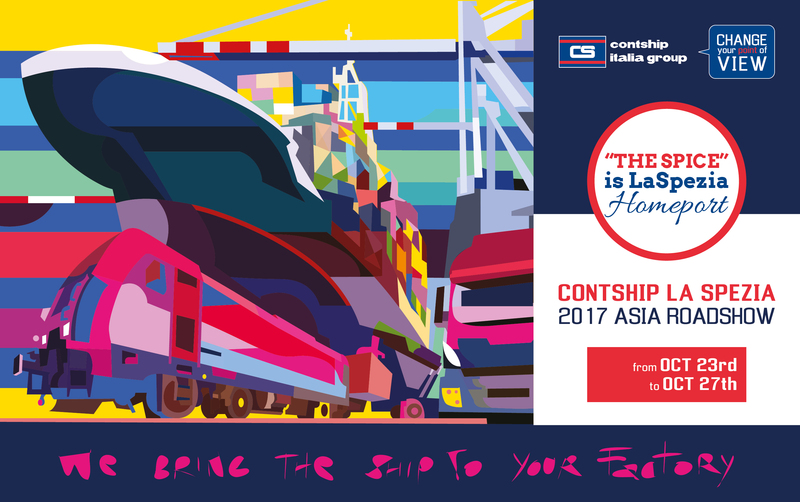 This is the first visit to Asia undertaken by the Contship team since La Spezia Container Terminal won “Best Container Terminal - Europe” at the 2017 Asian Freight, Logistics and Supply Chain Awards (AFLAS) held in Singapore, in June this year. 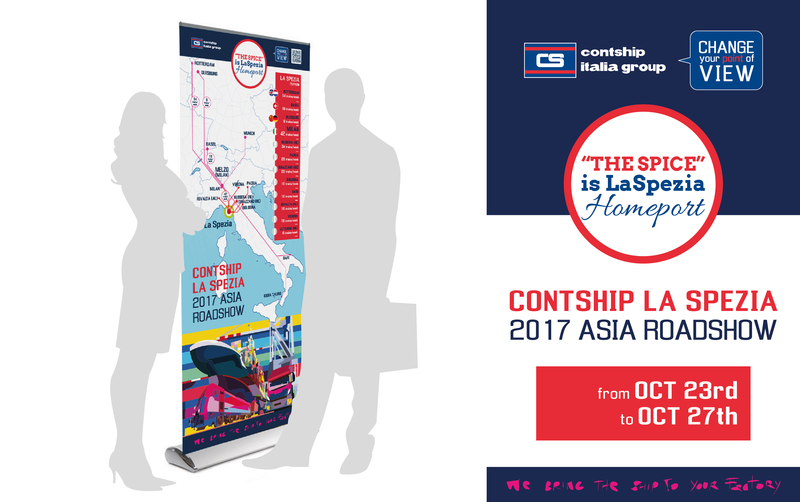 The primary objective of this tour in October is to engage with major stakeholders in Chinese and Taiwanese cargo and supply-chain hubs, hosting various presentations and networking events in three cities, to promote the benefits of La Spezia Homeport and Contship’s uniquely integrated “port-to-door” offer. Cecilia Eckelmann-Battistello, Contship Italia’s Group President noted, “Building business relationships in China and Taiwan is very important for Contship Italia as we aim to be closer to our valued clients and partners in a region which is today, the driver of world trade. In the past few years, Contship Italia has evolved with a range of fully integrated products including innovative and more efficient processes such as the customs fast-corridors and pre-clearing options, which have contributed to our competitiveness as a container logistics operator in the regional as well as global arena. 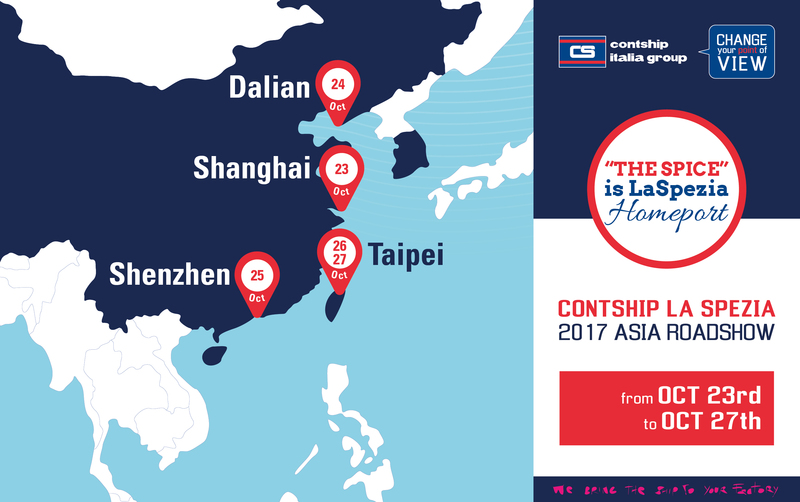 The Contship team will tour Shanghai, Dalian, Shenzhen and then Taipei from October 23 to 27. Meetings and presentations with clients and partners will take place by invitation.